Musical and theatrical events are always happening in Sunbury if you know where to look, they often take place at really good venues and we get to a lot of them because clients are always booking us to be there and to provide the most lip smacking roasted meats for guests. Sunbury has been occupied as far back as the 10th century BC; there have been many findings which show that it’s never been short of occupants. Right now there are around 30,000 people who live here and that’s been great for development, there’s venues and attractions up and down Sunbury as people start new businesses each day. 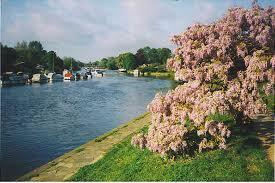 Galleries, museums, art festivals, stunning parks, you name it they can be found in Sunbury. For fans of sport there’s a cricket club, hockey club, football team, and the London Irish Rugby team have their headquarters and training grounds in Sunbury. There are a lot of events in catering, more than enough great venues to suit any budget, and then of course there’s us… Spitting Pig, the true home of hog roast catering. 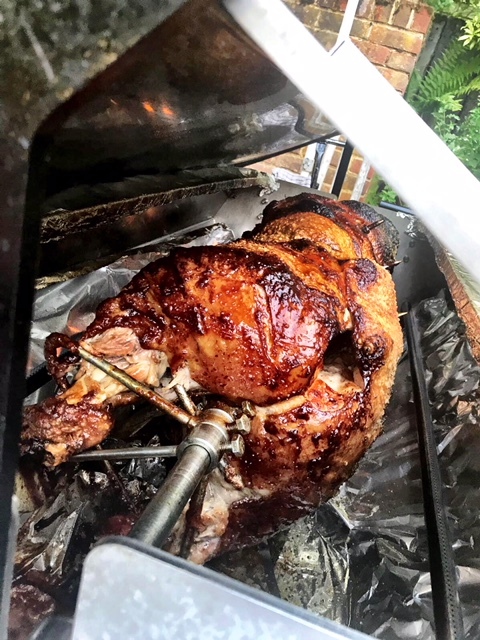 The hog roasters who you can book for literally anything, we’re not bound by the limitations that hold back other caterers, we can cater anything and everything and we can do it for half a dozen people, for half a hundred or for a gathering with thousands of people expected. We love catering at any event, especially weddings because of the nature of the guests and the wonderful venues and locations we get the privilege to cater at. We were recently invited to cater at a wedding for a lovely couple with the wedding reception taking place at a nearby hotel. Me menu was a simple yet succulent hog roast sandwich with all the trimmings. The bride and groom arrived at the venue to a chorus of applause and congrats. The roast was ready to carve within 30 minutes of their arrival and everybody had eaten with the hour. The celebrations must have carried on way into the night or maybe even the early morning. As caterers, our role in your event is clear, to make professional-standard food for your guests to enjoy, and that we do easily. The bonus our clients receive, and why we’re booked so frequently, is that in doing so, in the act of cooking, we stir and cook up genuine excitement for the meal ahead and for the event itself. The service provided with the food is utterly flawless, from beginning to end the hog roast Sunbury experience is an enjoyable one, whether we’re demonstrating our event management and bespoke menu creation skills at the start of our relationship, or providing for you a drinks bar, front of house and to-the-table waiting service for a black-tie dinner event. Our chefs embody our whole ethos; they can cook anything, for anyone, in any circumstances. You could put any number of fake scenarios in a hat, pull out as many as you like in every last one of them it’s more than likely that we’d be able to cater for it with no exceptions. No isn’t an answer. If there’s something we can’t do then we find a way to do it. For example, we’re just as apt with outdoor events as we are indoor events. We can do jobs for 10 people or 1,000 people. Our catering can be tailored for an informal event or a formal one. No matter how usual or unusual an event yours is, if you get in touch with the Spitting Pig team you’ll learn that we’re your answer. We can’t lie though, as unbelievably talented as our chefs are they don’t have to be in the picture as it were to have you a hog roast Sunbury. There’s another way to do that and we make it possible by making available to hire our very own hog roast hire Sunbury models. We know there’s people out there who’d like nothing better than a hog roast for an event or barbecue – the mouth watering food, the spectacle it provides. We’re also aware that catering is expensive unless you’re wealthy and so sometimes an alternative is much more appreciated, and that’s exactly why we stated our hog roast hire Sunbury service. To give everyone a means of having themselves a hog roast, and to respond to the hog roast addicts who want an excuse to liven up their summer barbecues with a spit or tray roast. Depending on the nature of your hog roast needs you can hire a machine for different periods of time. For a one off event the best option is a daily or a weekly hire. If you’re hiring to test the hog roast waters for commercial purposes then we do have a monthly plan. If planning to hire for extended periods of time we’ve been known to work out special deals with our clients. Each machine is delivered with gas supplied and the opt-in choice of buying a pig to go with the machine. 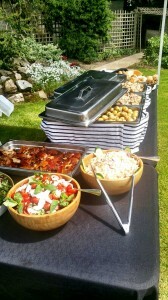 To price up your hog roast catering and hire options visit the contact page and submit a quote.